Anyone who knows me knows about my fascination and commitment to revisit my practice. They know about my desire to understand the affordances of technology and media-making in literacy instruction. They know about my dedication to helping my learners become global citizens. Now, make no mistake, I understand “I turned out completely fine” with a more traditional education, but then again, that’s all we really had. And, I was fortunate to love school and have engaging educational experiences throughout my entire life. As I continue to teach, however, my awareness of the ever-evolving literacy landscape is constantly raised. My eyes are opened to this new world my high school learners are trying so hard to make sense of, and complexity is added when we realize that it’s changing at a mind-boggling pace. It’s one thing to say, “When I was your age, I had to walk to and from school uphill both ways in the snow and rain and heat and whatever other extreme weather condition that may prove my point.” It’s quite another to say, “When I was your age, we didn’t have the internet.” To my learners, and perhaps even to myself, the second remark seems to be much more of a hardship. “What?” “How can that be?” “What was that like?” Just some of the inquiries emoting the disbelief of my students. And truthfully, there are parts of me that cannot remember because I have chosen to examine what these types of changes mean to not only to my students but also to myself. This reflection has put the spotlight on trying to be responsive instead of doing what I know or what’s familiar. I’ve had to distance myself somewhat from that more traditional context. It’s tough to recall bits and pieces of teaching before I had the tools but more importantly, the courage to enter an arena where I am more of a visitor than someone truly at home. At times, it’s scary. I don’t know how to do half the things I ask my learners to try. And when I begin to learn a program, there’s another skill set to try to sink my teeth into because our learners today like variety. They are bombarded with onslaughts of information, some more useful than others, some more reliable than others, but still, they have a deluge of information presented in various media genres. But if I don’t help them understand why a piece of media and its content is or is not effective and purposeful, my learners might never understand how such media can manipulate for good or for bad. Furthermore, they may not understand how to design such media to further the causes and purposes they call their own. Digital Learning Day, March 13, 2015 is fast approaching. Each year, I take time to ask my learners what sense they can make of how technology impacts education, how consumption and creation of media both influences and reflects learning. Unfortunately, this year, Digital Learning Day falls during spring break. I feel like I’ve tried to compensate by asking learners to create more digital artifacts. 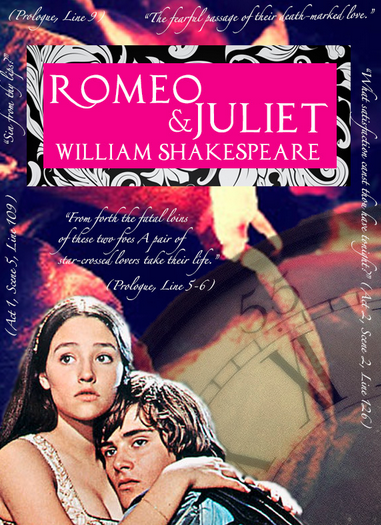 Recently, I’ve asked my students to design marketing pieces where they decide to position Romeo and Juliet either as a “Timeless Love Story” or as a “Cautionary Tale”. 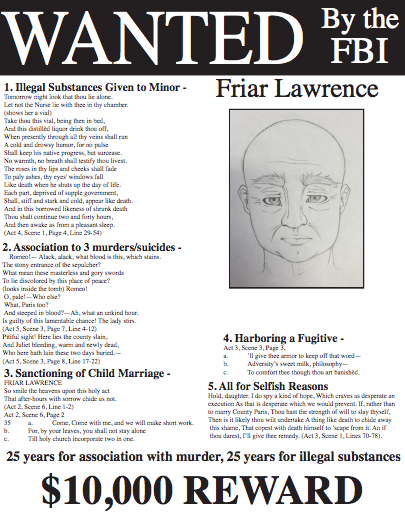 They’ve also produced digital Wanted Posters and Sainthood Petitions communicating whether or not they felt Friar Lawrence was a sinner or a saint. Each product required text analysis and evidence from the play. Each piece forced them to wrestle with over simplified decisions, and yes, they were frustrated. Many of them have voiced the desire to create something that reflected both sides, and I see this as a byproduct of other learning we have experienced this year. I strongly believe in the essential skill of being able to approach tough potentially polarizing concepts in such a way where all opinions are able to be heard, where participants are able to have their own informed opinions but also the understanding that others, too, have the right to their own. Without such discourse, tough discussions do not happen. Topics are avoided. Difficult, seemingly unanswerable questions are not explored. And even more disheartening, if such discourse isn’t taking place, possible necessary and plausible compromises are not being made that could help reform unjust, inhumane practices around the world. When my learners ask me if they can create products that express both sides of the problem, products that express a third or fourth perspective, I believe it is a result of months of grappling with messy topics such as those offered in KQED’s EdSpace Do Now. This is the type of analysis and understanding my learners have gained from practices that include participating in civic discourse using social media, deconstructing and producing media, and critically researching online. But we don’t get that from doing this once. We don’t get there from observing Digital Learning Day a single day in a year. No, this learning must happen every day because this is where our learners are at home. They are awakened by devices. They are informed by feeds they can customize. They are influenced by media that either arrives via their chosen outlets or on demand. I will say this. What Digital Learning achieves, not only on this day with its powerful reminder but on any other, is the invitation to educators on all levels to question their practice. Digital Learning Day calls upon us to reexamine how we do things and why we might want to try something different. So what does it all mean? Digital Learning means different things to so many different people, learners and educators alike. But, this day, this day gives us pause to reflect. It is a moment to deliberate on what works, what is needed, what can be transformed, what our learners really need, how we can relinquish some of what is known through careful design to gain a step closer to understanding. Understanding that this process should occur every day, after each interaction with our learners. 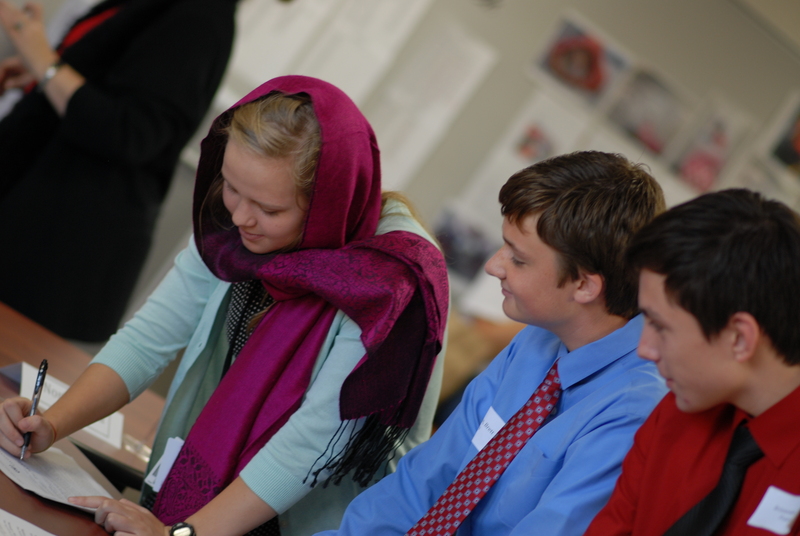 Digital Learning Day is a chance to learn from other educators’ work. It is a time to revisit some of our biggest disasters in our classroom, taking comfort in the thought that at least, we tried. So take time. Recognize what it means to teach literacy in today’s world. Question. Always question. And ask a learner, what worked and what didn’t. That’s what Digital Learning Day means to me. Pingback: Digital Learning Day? What does it all mean?